Now I would like to say that I have been MIA cause I have been off having fun, walking great walks, checking up on peemail and living a dogs life to the full……. alas my furiends this is not the case I have just been utterly neglected by typist who feels her time will be better spent doing other none me related work – pfft! The first surprise came from my good furiend Clowie, we became good furiends when I discovered that we shared similar training methods when trying to control our humums. Check it out her http://clowiescorner.wordpress.com/ you have to follow this blog! I hope you can all accept this award! 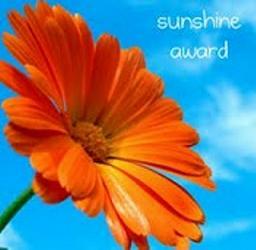 I have also received the sun shine award from Sadie P, http://sadiepetunia.wordpress.com/ which made me fall off my chair with excitement! Sadie is my first schnoodle furiend and I do so love reading her posts. Now there are even more rules with this award so the official bit ….. Thank the person who gave this award and write a post about it. – done that! Pass on the award to 10 fabulous bloggers, link their blogs, and let them know you awarded them – will do in a minute! Favorite color – Brown, I know it is boring but it is the colour of all the good things in life, food, noms, mud and me!! Getting or giving presents – I do love being given presents, and I am so loving all the time it is very hard work so I think I deserve more! Favorite day – Monday is good, cause I get to see everyone in the office, but I do my best snoozing on a Tuesday, Wednesday is good cause I can see the weekend, but then Thursday usually has a good walk in it, Friday the mood lifts in the office, Saturday I spend with the whole family and Sunday I get a lie in, O dear!! Looks like I like them all! Favorite flowers – Anything but daffodils as I am illergic to them, they make me sneeze and cough, so always wee on them BOL! Clowie’s Corner: http://clowiescorner.wordpress.com/ my very good pal! Bassa’s Blog: http://bassasblog.wordpress.com/ the very first blog I followed and the dog I inspire to be as good as! Bones Diary: http://bonesdiary.wordpress.com/ come the Zombie apocalypse it is us against the world! The Dante Diaries: http://thedantediaries.wordpress.com/ living life as we all should! Dog Daz: http://dogdaz.com/ I think they have more anipals living under one roof then we do! After all the hard work I think I need a lie down, until next time my furiends!